Our customers include corporate farming entities as well as organisations that service the Agri sector such as Fieldays, Federated Farmers and Dairy NZ. BES have developed a suite of solutions to assist in the management of large or multi location farms. Accrual accounting will show you a true picture of your current financial position and is therefore the best basis for planning or making important decisions. Click through to see how the BES team can help you make the move. Research shows that it is easier to understand many data items when they are displayed graphically. The team at BES can create these for you which will provide you the facts from which you can make better decisions. An accurate and current value of all of your livestock is now possible with this new solution. Click through for details. Comprehensive and flexible, this solution will allow you to manage your individual farms and/or consolidate in various ways. Enhance your procurement process with a requisition and approval process – the benefit to you will be the assurance that budgets and delegated authorities have been adhered to. We offer budgeting and forecasting systems which are easy and flexible to use. This ease of use extends to reflecting changes that will impact your business – as an example changes in the dairy payout. Agribusiness is an industry that BES have a number of customers and therefore considerable knowledge and experience. 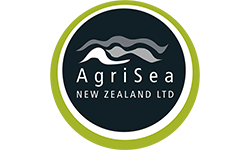 Based in Paeroa with depots across the country, AgriSea NZ Ltd is a multi-award winning sustainable company which is family owned and operated. They produce Seaweed Soil, Foliar, Turf, Pasture and Animal Health concentrates for Agriculture and Horticulture. A combination of Sage 300 ERP, Sage CRM and the QlikView BI reporting tool allow close management of customer sales opportunities, customer orders and the overall company costs and profitability. Clare Bradley, who runs their office enjoys working with the BES team. She says that their close working relationship allows her to share her company strategy and plan the appropriate enhancements to their business solution.